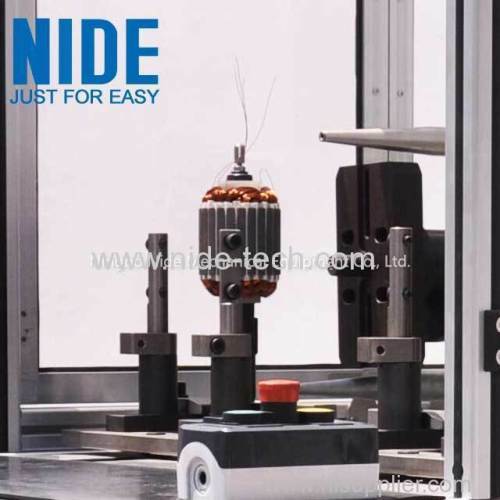 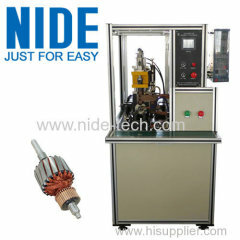 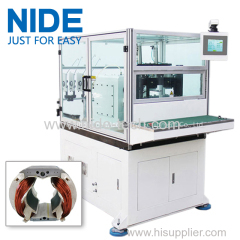 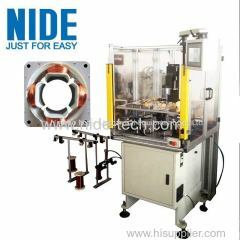 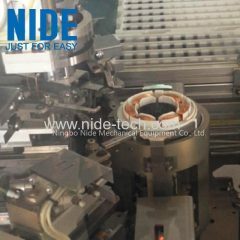 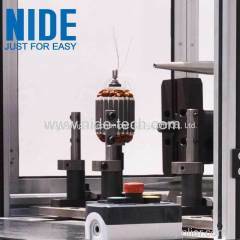 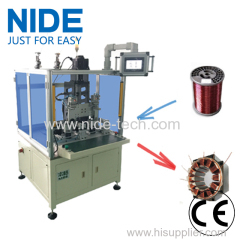 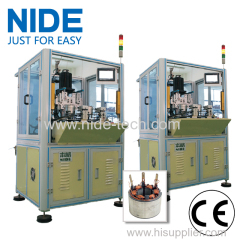 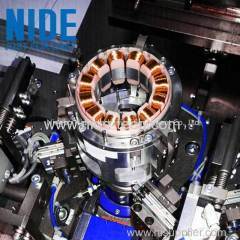 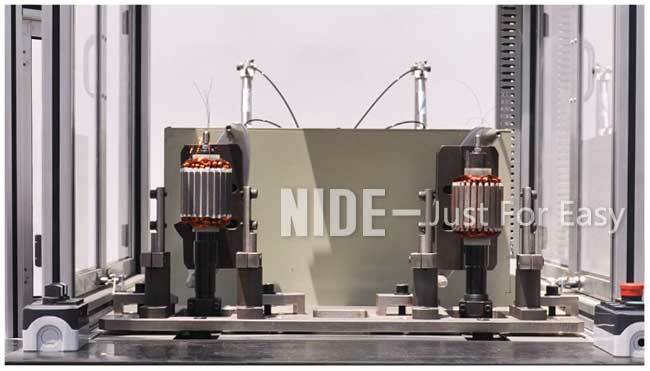 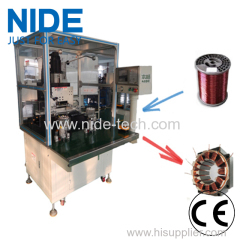 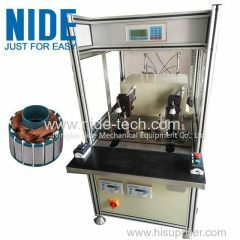 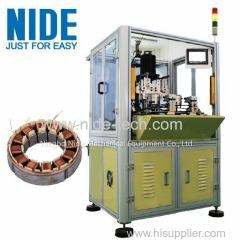 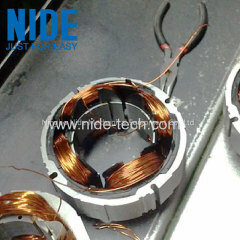 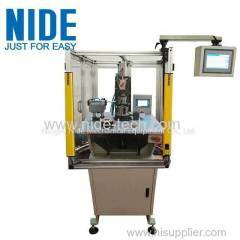 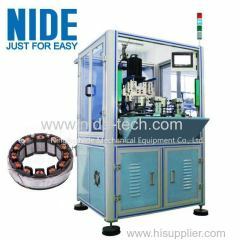 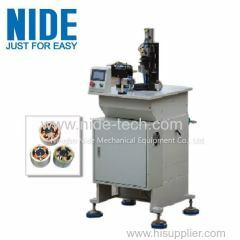 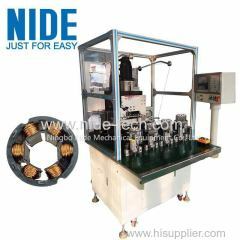 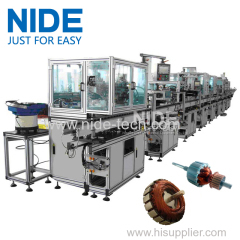 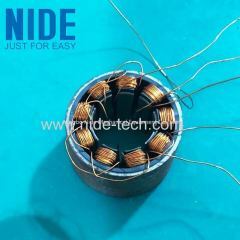 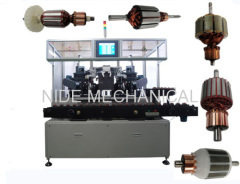 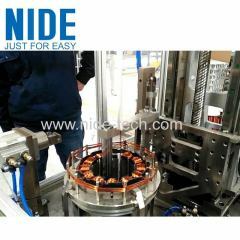 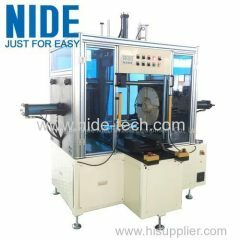 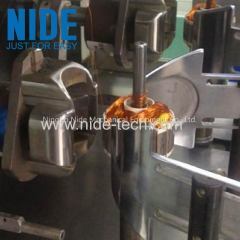 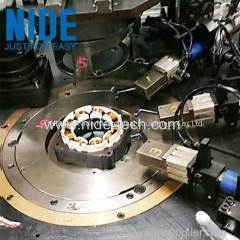 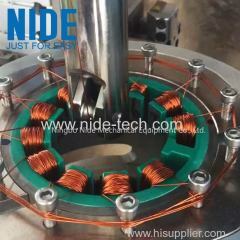 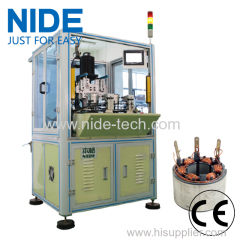 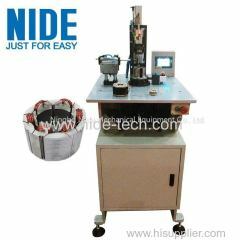 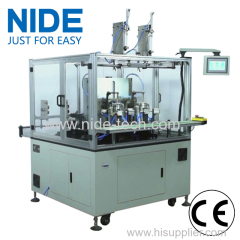 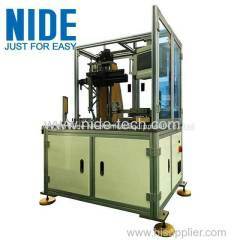 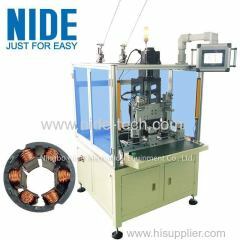 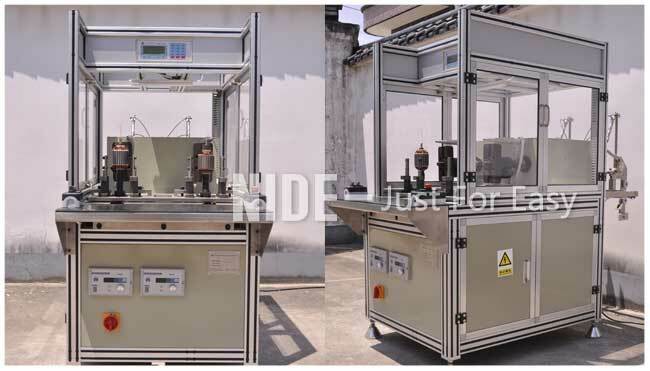 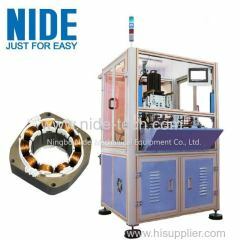 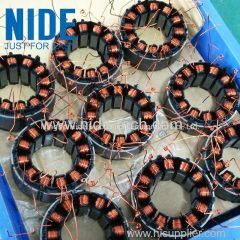 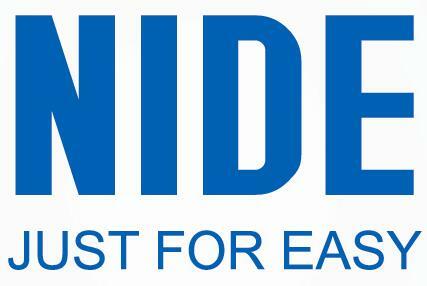 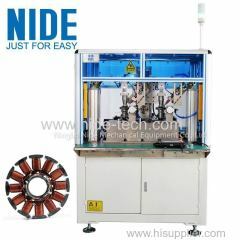 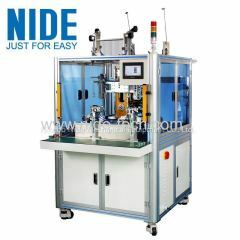 Single flyer and double stations BLDC motor armature winding machine from China manufacturer - Ningbo Nide Mechanical Equipment Co., Ltd. 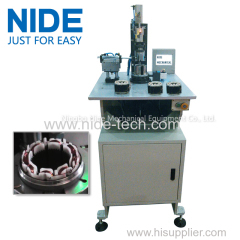 This bldc winding machine is sutiable for bldc external armature coil winding.The parameter, such as turn No., wire clamping indexing angle, rotor direction, etc., can be set on the HMI. 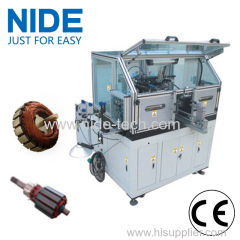 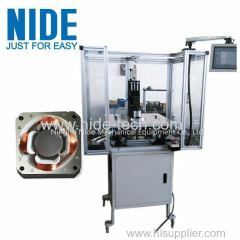 Adapts Single flyer winding, double working stations, automatically wire clamping, manually feeding.